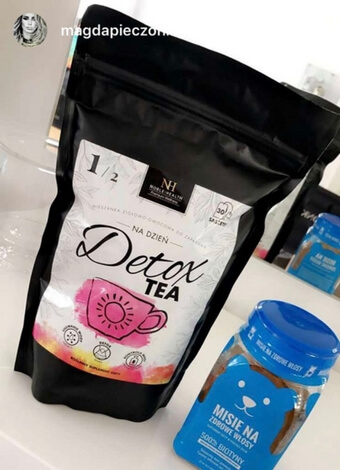 DETOX TEA DayTime - Natural dermocosmetics and dietary supplements. Collagen creams. Tea, which helps to speed up the intestinal tract1 and helps in body mass control2. 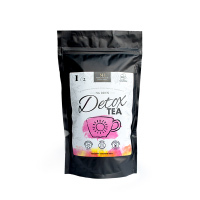 DETOX TEA is a vegetal diet supplement that you can brew like tea and drink with pleasure. Great taste is not all! This herbal-fruit mixture contains ingredients such as hibiscus, senna or green tea. Hibiscus – participates in the process of expulsion of water from the body and reduces the feeling of wearyness and fatigue. Senna1 - supports the proper functioning of the intestines and helps to accelerate the intestinal passage. Green tea2 - helps in weight control and supports normal fat metabolism. Sit down comfortably and with your favorite cup full of brew, enjoy the taste and see how the DETOX TEA works! Ingredients: Hibiscus sabdariffa, leafs of green tea (Camelia sinensis), fruits of black currant (Ribes nigrum), apple fruit (Malus domestica), leafs of red tea Puerh (Camelia sinensis), wild rose fruit (Rosa canina), leafs of senna (Cassia angustifolia), chicory root (Cichorium intybus), orange peer (Aurantium dulcis pericarpium), aroma, an acidity regulator - citric acid, powdered pomegranate juice concentrate (Punicagranatum). 1. For whom is DETOX TEA for the day? 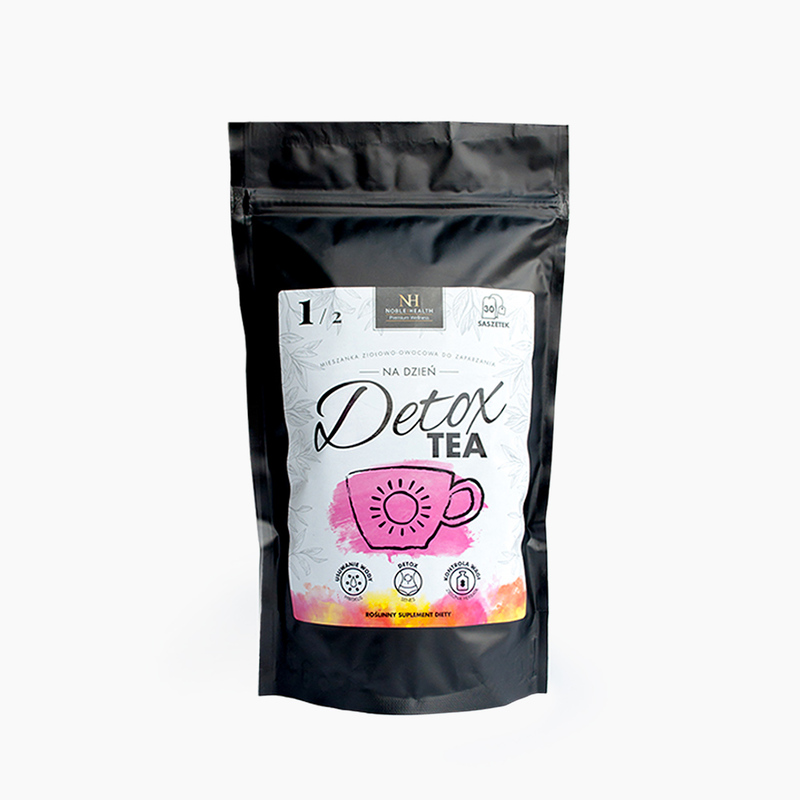 DETOX TEA is a vegetal diet supplement in the form of a herbal-fruit blend for brewing. 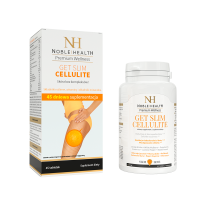 It is designed for people who want to control body weight or support with cleansing processes of the body. 2. What is the composition of DETOX TEA for the day? 3. How do the ingredients of DETOX TEA for the day work? Hibiscus participates in the expulsion of water from the body and reduces the feeling of wearyness and fatigue. Senna supports the proper functioning of the intestines and helps to accelerate the intestinal passage. Green tea helps in weight control and supports normal fat metabolism. 4. How should I use DETOX TEA for the day? DETOX TEA sachet for daytime should be poured with hot water below 100 degrees Celsius. The infusion is ready for consumption after 4-5 minutes. It is recommended to consume 2 infusions during the day: one morning before or during breakfast and the other at around 2 p.m.
Do not exceed the recommended daily intake. Dietary supplements can not be used as a substitute for a varied diet. A balanced diet and healthy lifestyle are important for good health. Daily portion of the product provides ingredients in amounts that provide declared health benefits. This product is not for people under the age of 12, people with bowel diseases and pregnant and breastfeeding women. After two weeks of regular consumption, a two-week break is recommended. Do not use DETOX TEA per day continuously. In case of diarrhea, consult a doctor. 5. Can anyone use DETOX TEA for the day? 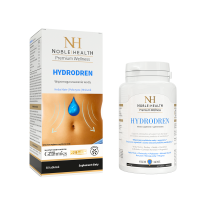 This product is not for people under the age of 12, people with bowel disease and pregnant and breastfeeding women. After two weeks of regular consumption, the two weeks break is recommended. Do not use DETOX TEA per day continuously. In case of diarrhea, consult a doctor. 6. How should I store DETOX TEA for the day? Keep at room temperature away from moisture. Dietary supplements should be stored in a way that is not accessible to young children. 7. How many sachets are included in the package DETOX TEA for the day? In one package you will find 30 sachets. 8. How much is net weight of DETOX TEA for the day? 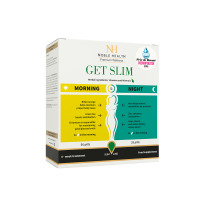 The net weight of the product is 60 g.
Pregnancy is a special time and taking any dietary supplements should be consulted with your physician. Noble Health products can be taken after 6 months of breastfeeding. If you want to start supplementation in advance, consult your doctor. I live in a big city, and that's why I try to clean my organism regularly. With detox tea I can finally do it in a nice way, just sipping a cup of tea. To sit with something tasty and feel a positive effect. Great feeling.